In what appeared to be the fastest race ever, Almaz Ayana of Ethiopia broke the Women's 10,000m World Record at the 2016 Olympics in Rio. 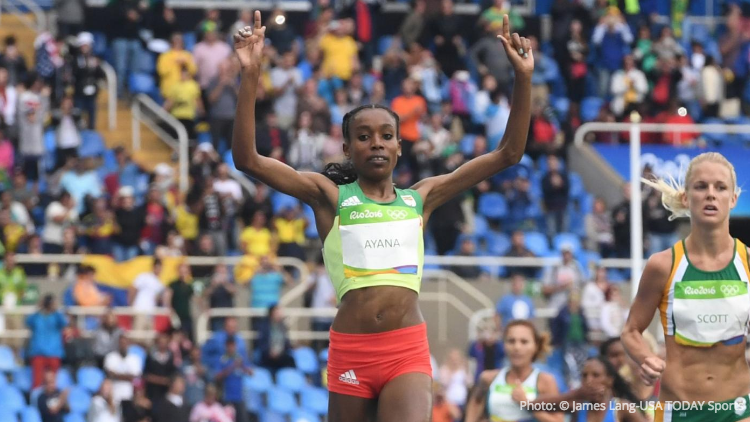 Ayana walked away with the gold by clocking in at 29:17.46 (just a few minutes of my fastest 5K). Would you believe me if I told you that this was only Alana's second time running the 10,000m on a track? Vivian Jepkemoi Cheruiyot of Kenya took home the silver medal - finishing 15 seconds after Ayana -- and Tiruesh Dibaba, who we told you about here, finished in third place to claim the bronze medal for Ethiopia. Molly Huddle, the Saucony athlete representing the United States, placed 6th and broke the US Women's 10K record by finishing in 30:13.17. She beat Shalane Flanagan's 2008 Beijing record by 9 seconds. Whoa! We've got our eyes on Sunday's women's Marathon Final. Click here for a full schedule of Track & Field events.